ActiveHOOK™ BSA is maleimide activated BSA, by the addition of sulfoSMCC cross-linker. 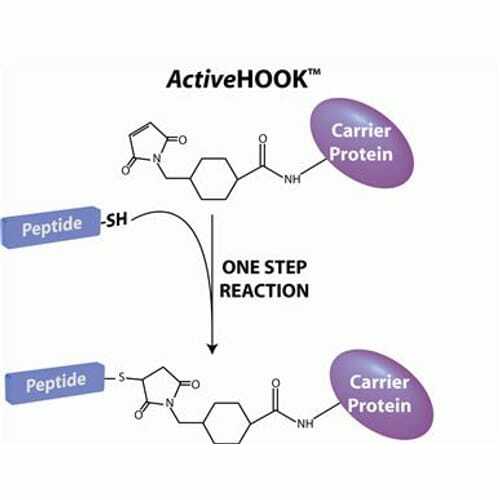 The ActiveHOOK™ BSA rapidly couples to free sulfhydryl groups on peptides and proteins. 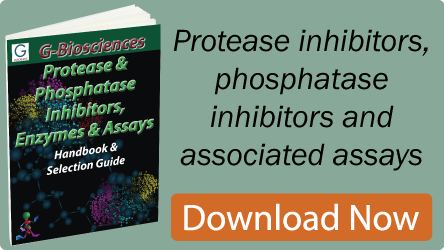 This activated carrier proteins save both time and money as separate cross-linkers are not required and the reaction is a one step reaction. Bovine serum albumin is a single polypeptide of 67kDa and consists for 59 lysine residues, of which 30-35 have primary amines that can react with cross-linkers for the coupling of peptides. ActiveHOOK™ BSA is available as a 10mg vial or as our OneQuant™ single use line as 8 x 2mg vials.